Mastering the real temperature distribution of the concrete dam is the basis for solving the problem of temperature control and crack prevention. 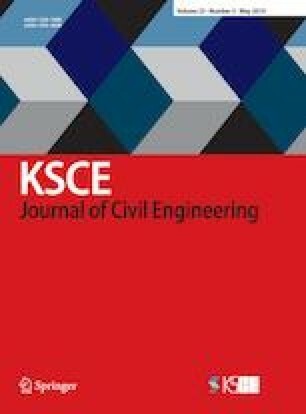 In this paper, Distributed Temperature Sensing (DTS) technology was applied to temperature monitoring of a high-arch dam under construction in southwest China. In order to obtain a more comprehensive temperature distribution of the dam, optical fiber layout principles for arch dams were studied, and horizontal and vertical optical fiber layout schemes were first proposed according to these principles. The real temperature variation processes of the dam were obtained in real time with a line temperature measurement pattern instead of a point temperature measurement pattern. Additionally, a framework of distributed optical fiber data acquisition and remote transmission was proposed. Interconnection of multiple DTS hosts and remote transmission of temperature data were realized. Then, two-dimensional temperature fields of a typical dam block in different ages and longitudinal profiles of dam blocks with embedded fibers were reconstructed based on large amounts of temperature monitoring data and the Kriging difference algorithm. Temperature field reconstruction results showed that the temperature distribution law of the concrete arch dam was in accordance with the actual situation.